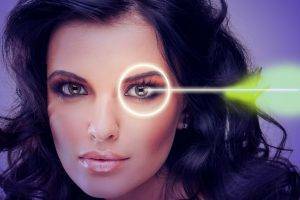 Looking for an Eye Doctor in Peoria, AZ? 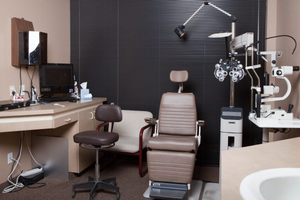 Dr. Johnson is a leading optometrist at near Peoria, AZ. Our eye clinic always stays at the cutting edge of eye care technology and provides a full range of vision services. Our satisfied clients can attest to our thorough eye exams and caring manner. Less than 20 minutes from Peoria eye exams at Advanced Eye Care Center are just a hop, skip and a jump away. Our eye optometrist offers other eye care services, too, like: contact lens fittings, eye disease management, eye surgery consultations and emergency eye care. George K Johnson OD provides eye care for the whole family, including eye exams for children area’s eye doctors office in northwest Phoenix, AZ. Our staff members are happy to accommodate family appointments. While you’re here, you can browse through our selection of eyewear. Or, if you already know what eyewear you need, you can buy sunglasses and contact lenses online and have them delivered to your home. We look forward to providing eye care services to you and your family. Need directions to our Phoenix, AZ eye care office? Our vision clinic provides a wealth of expert eye care services with advanced eye care technology and techniques.